Henderson, Nev. — The nation’s mayors have unanimously approved a resolution sponsored by Henderson Mayor Debra March calling for sweeping improvements to how private businesses and governments protect data from cyber attacks, physical attacks, severe weather events, and other types of catastrophic threats to data centers. Mayor March collaborated with Nevada-based data center developer Switch to create the language for the resolution. The U.S. Conference of Mayor’s (USCM) resolution, which was adopted on June 11 at the organization’s 86th annual meeting in Boston, encourages prioritization of funding for data security measures, federal support for local governments in that effort, and reinforcing that the federal government follow its own standards in protecting our nation’s critical data center infrastructure. The U.S. Conference of Mayors Data Protection Resolution passed unanimously and was supported by 12 other mayors who were co-sponsors including Baltimore Mayor Catherine Pugh, Mesa, Ariz. Mayor John Giles, Atlanta Mayor Keisha Bottoms, Portland, Ore. Mayor Ted Wheeler, and Seattle Mayor Jenny Durkan. “Every day we read headlines about private businesses, local governments and even U.S. naval ship plans being compromised as a result of data vulnerabilities. As a nation, we must prioritize investments in protecting our data from human error, malicious attacks and a lack of resiliency,” said Mayor March. “It is time for the leaders of our cities, our nation’s mayors, to start this conversation and gain greater funding for such critical programs and infrastructure with our congressional leaders,” said Mayor Pugh. The data protection resolution calls for mitigation measures that provide redundant systems, resilient and renewable energy sources, industry-leading data protection standards, and advanced data center construction standards. The measure highlighted projected losses from cyber hacks, data breaches and lost productivity due to lack of secured data at nearly $8 trillion over the next five years. Meanwhile, the U.S. Government is expected to spend $10 billion annually to protect data. Global spending on data security efforts is expected to grow by more than 30 percent to about $134 billion by 2022. Switch (NYSE: SWCH) the technology infrastructure corporation headquartered in Las Vegas is built on the intelligent and sustainable growth of the internet. 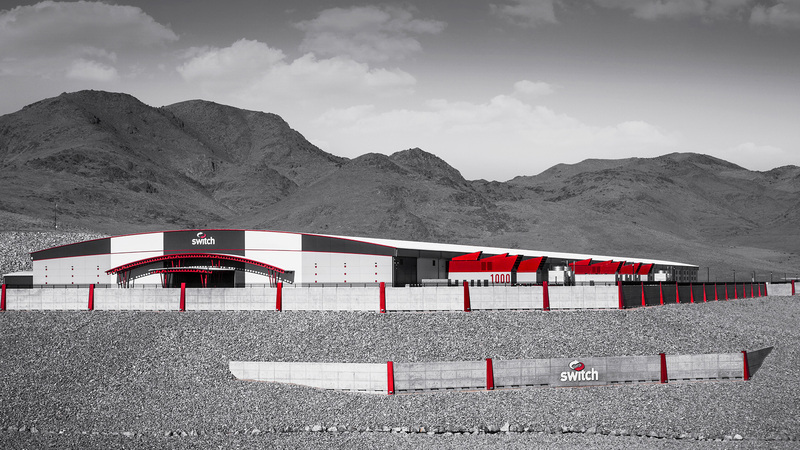 Switch founder and CEO Rob Roy has developed more than 500 issued and pending patent claims covering data center designs that have manifested into the company’s world-renowned data centers and technology solutions.